Community Open House Scheduled to Share Guidelines for City Park Golf Course Redesign World-class teams selected to compete for course redesign The City and County of Denver is hosting a public open house to share the guidelines driving the redesign of City Park Golf Course. These design guidelines were developed as part of an eight-month collaborative process with golfers, nearby residents and the wider community. A Request for Proposals (RFP) which includes design guidelines and requirements was released today to the three teams selected to compete for the redesign: Landscapes Unlimited, LLC, with golf course architect/designer Robert Trent Jones II Saunders Construction, Inc., with golf course architect/designer iCon Golf Studio SEMA Construction, Inc., with golf course architect/designer Dye Designs The project team will share the final design guidelines with the community in an informal, drop-in open house. Attendees will have the opportunity to speak one-on-one with the project team, get questions answered and review informational displays. WHAT: City Park Golf Course Redesign Open House WHO: The City and County of Denver WHEN: Tuesday, January 31, 2017 (5:30 p.m. to 7:30 p.m) WHERE: City Park Golf Course Clubhouse (2500 York St, Denver, CO 80205) City Park Golf Course will remain open through golf season 2017 and reopen in 2019. The redesign of the course is part of the city’s Platte to Park Hill: Stormwater Systems program. The program is taking a comprehensive approach to better protecting people and property north and east of downtown against flooding while improving water quality and enhancing public spaces. More information can be found at www.denvergov.org/PlatteToParkHill. FOR IMMEDIATE RELEASE January 3, 2016 Nancy Kuhn 303-513-6046 Nancy.Kuhn@denvergov.org Denver Parks and Recreation Cynthia Karvaski 303-819-0111 Cynthia.Karvaski@denvergov.org Denver Selects World-Class Teams to Compete for Redesign of City Park Golf Course Course will remain open through 2017 and will reopen in 2019 DENVER – The City and County of Denver today announced that three design-build contractor teams have been selected to submit proposals for the redesign of City Park Golf Course. The teams include some of the industry’s top golf course designers, engineers, architects and construction contractors that have the unique experience, knowledge and expertise to meet the needs of Denver’s golf community and the neighborhoods around City Park. The three teams chosen to submit proposals are: · Landscapes Unlimited, LLC, with golf course architect/designer Robert Trent Jones II · Saunders Construction, Inc., with golf course architect/designer Icon Golf Studio · SEMA Construction, Inc., with golf course architect/designer DYE Designs These three were selected from nine teams that responded to the city’s Request for Qualifications that was issued in October. The selection panel included city staff, community representatives and golf/technical experts. “City Park Golf Course is one of the city’s most beloved and enjoyable golf courses,” said Happy Haynes, Executive Director of Denver Parks and Recreation. 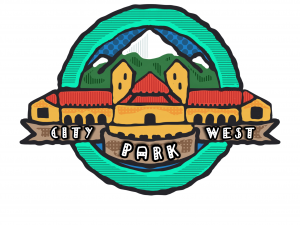 “The talent and experience represented on these teams will ensure that City Park Golf Course continues to be one of Denver’s crown jewels for years to come.” A Request for Proposals (RFP) will be issued to the three teams in mid-January. The RFP will include guidelines and requirements that will drive the design of the course. In addition to input from the public, representatives of the neighborhoods around City Park Golf Course and the golf community participated in an eight-month, collaborative process to develop and inform many of the design guidelines that will be in the RFP. A community open house about the RFP will be held in late January or early February. The course will remain open through the 2017 golf season. The city will select the design-build contractor in the Spring of 2017, with construction expected to begin in late 2017. The course will reopen in 2019. The redesign of City Park Golf Course is part of the city’s Platte to Park Hill: Stormwater Systemsprogram. That program is taking a comprehensive approach to better protecting people and property north and east of downtown against flooding while improving water quality and enhancing public spaces. More information can be found at www.denvergov.org/PlattetoParkHill.